I just wanted to give a couple of shout outs today. First, to my new friend Katie from On the Banks of Squaw Creek, who featured us on her blog this week. She's got a great farmhouse and beats most of us when it comes to profession: she and her husband raise turkeys! Be sure to give her a visit, especially since she is trying to help us get our Anthropologie wallpaper. I also wanted to point out my pal Adriana's new site: Two Superheroes and a Ladybug. Her family is gearing up for adoption, and she's sharing her adventures with us there. 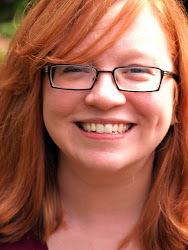 Adriana is just getting started, so let's share the blog love. And finally, I'm going to shamelessly plug another endeavor that Ryan and I are a part of: Hi-Fi Lives. Contributors wax poetic about their experience with songs that have changed their lives, given them mojo, or, in my own case, helped them through the torture that is middle school. For those who are dying to read more of Ryan's "serious" writing, hop on over for a great review of the underrated artist Ke$ha. Oh, and don't forget to nominate your favorite blogs for the Honor Roll of Intensely Good Blogginess. 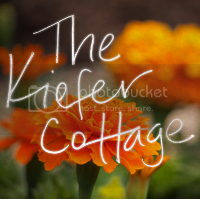 Send your nominations to thekiefercottage@gmail.com. It's an award worth fighting for. I swear. We'll be out in the yard this weekend. Enjoy your holiday. There will be no rest for us this Labor Day.